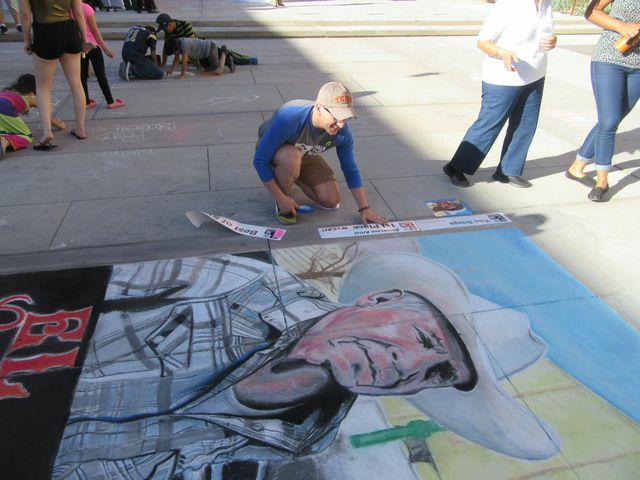 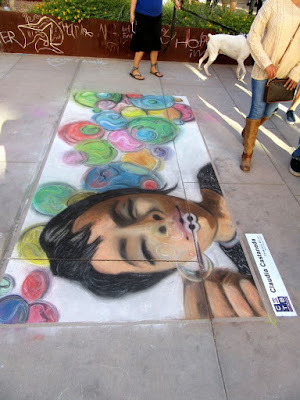 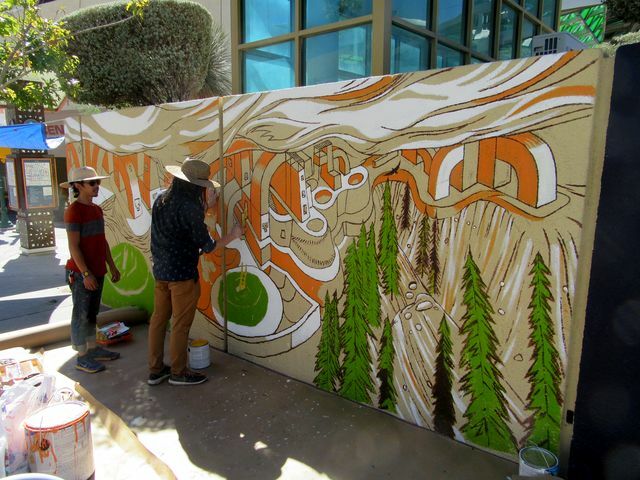 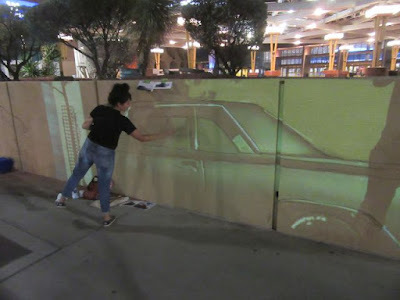 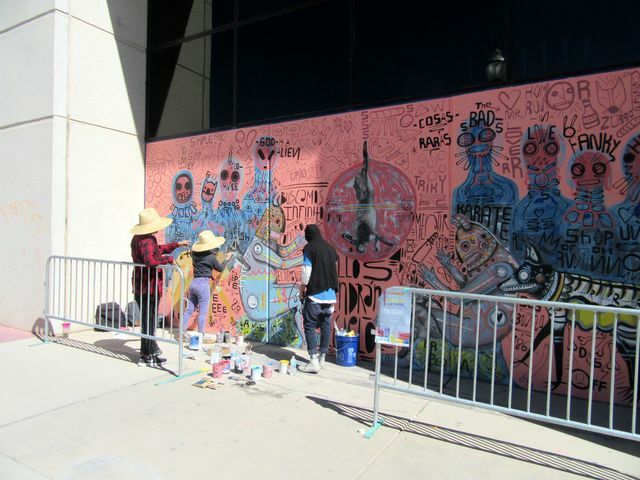 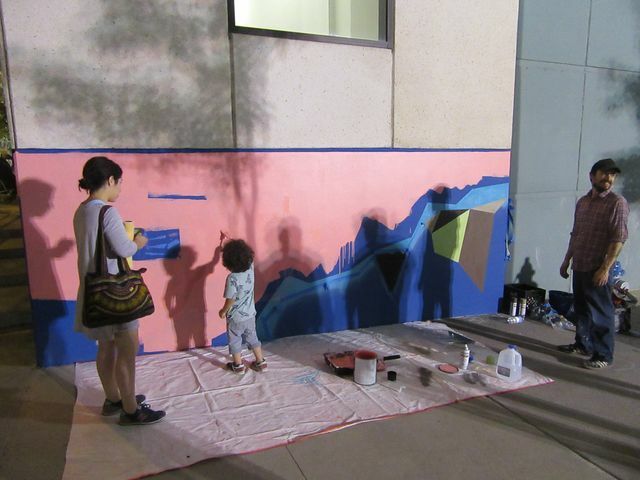 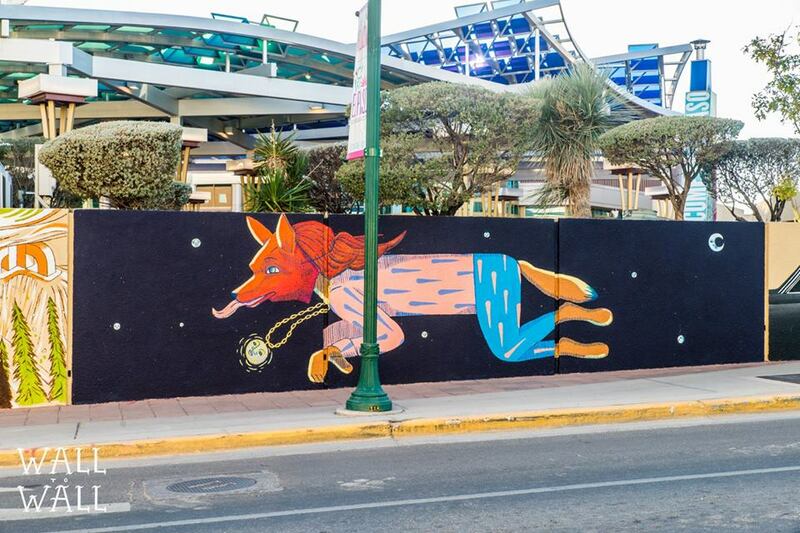 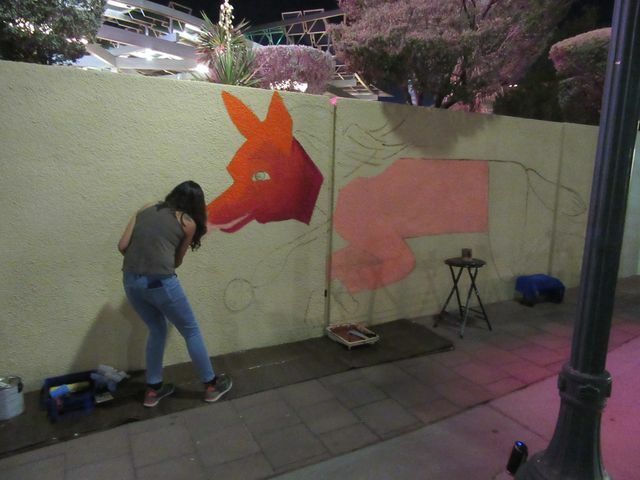 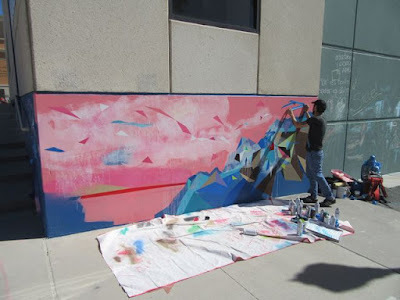 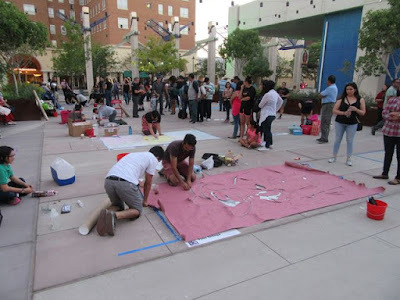 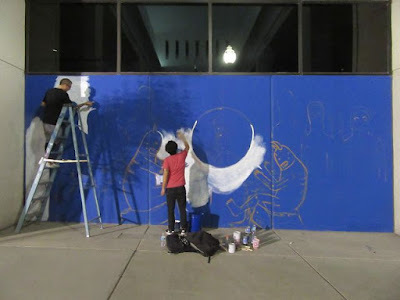 Many of the Desert Triangle Carpeta artists (and friends) are painting murals at the Chalk the Block arts festival in downtown El Paso (October 14 - 16). 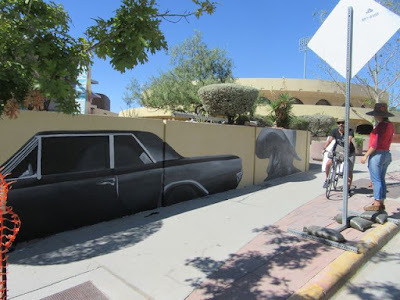 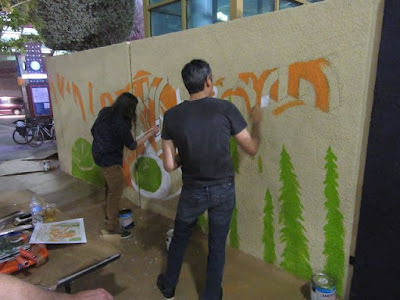 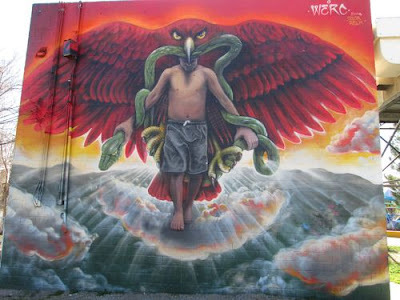 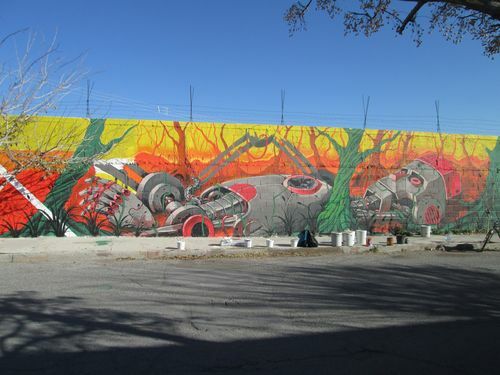 The murals were curated by Desert Triangle artists Los Dos -- Ramon and Christian Cardenas. 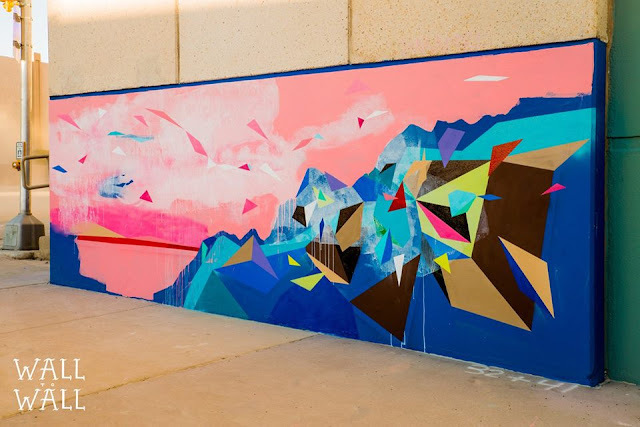 In fact, we conceived of the Desert Triangle Print Carpeta at the 2014 Chalk the Block festival, after a discussion with Los Dos. 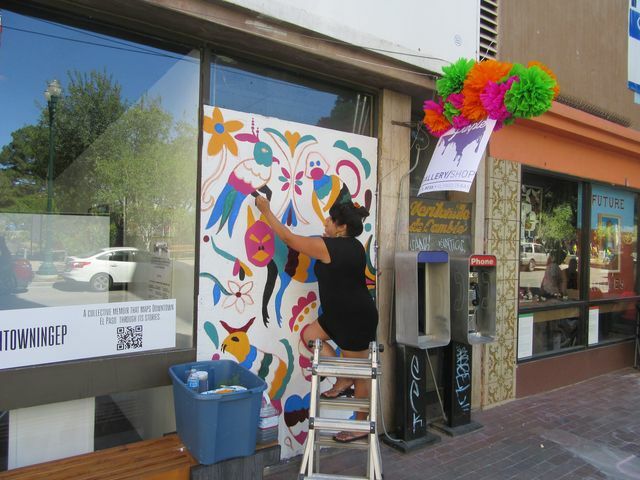 Chalk the Block has been essential for the Desert Triangle Print Carpeta. 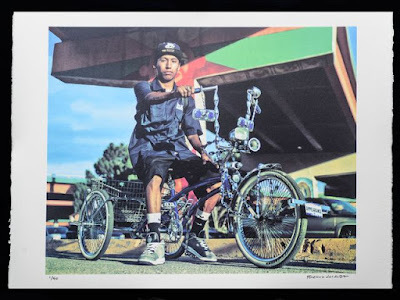 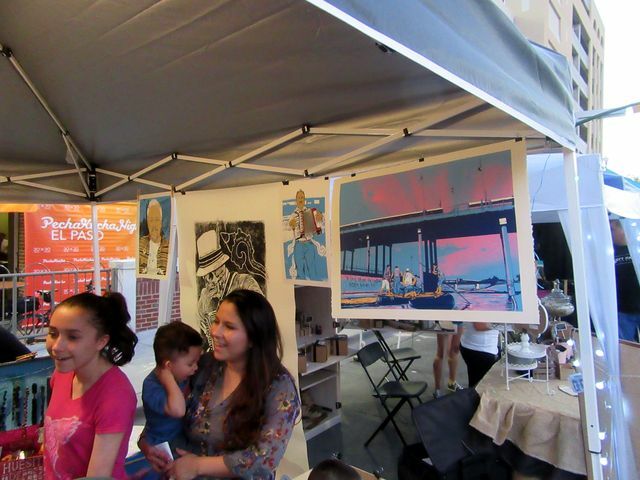 Krrrl bought prints from Main-tain Creative Coalition at Chalk the Block in 2012; and then returned from Tucson to show prints in 2013, as the YayBig Southwest Print Collection. 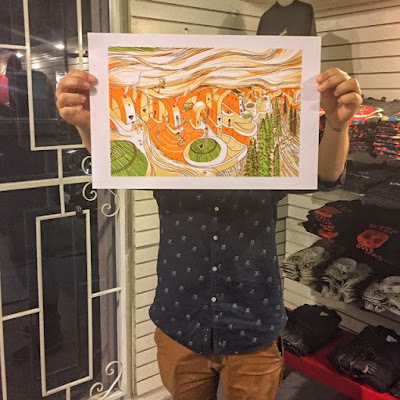 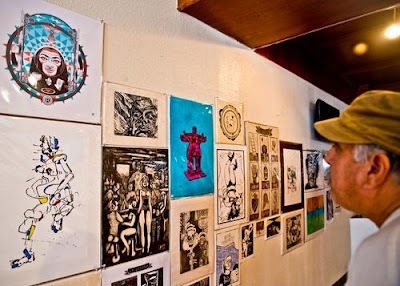 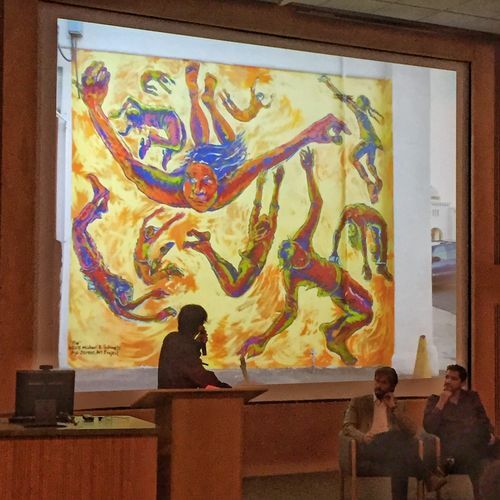 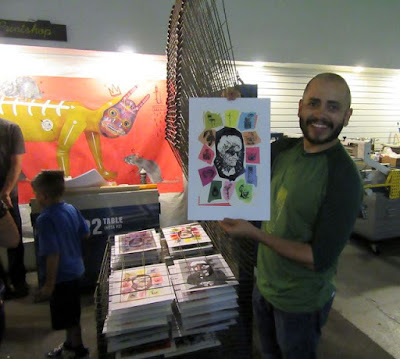 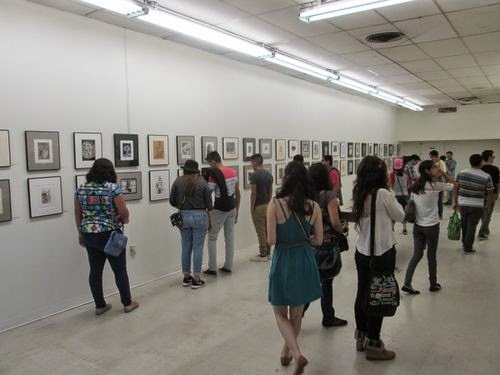 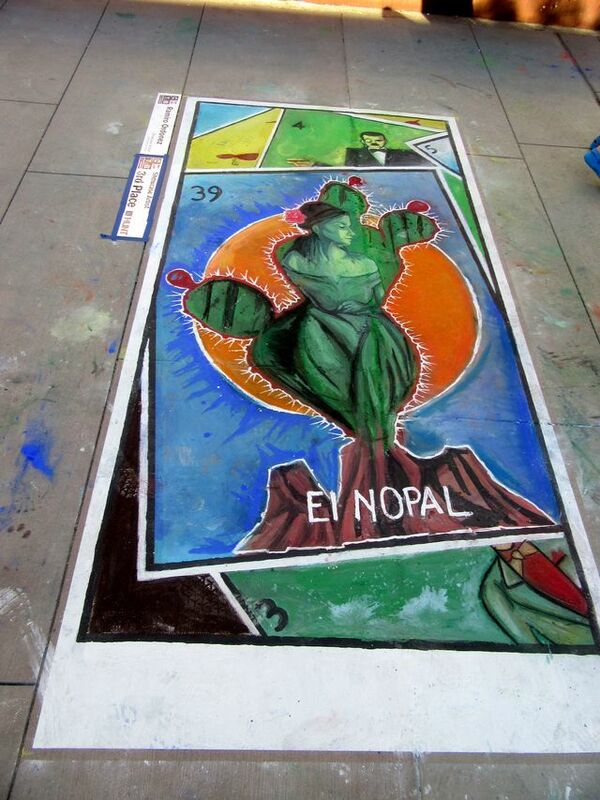 In 2014 he showed the YayBig Print Exchange at Chalk the Block, with the Horned Toad Print Exchange from El Paso. 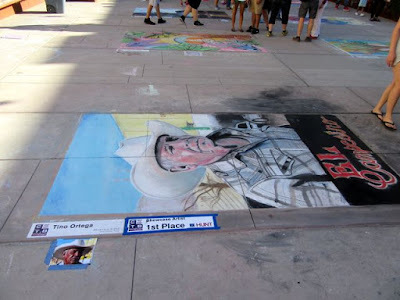 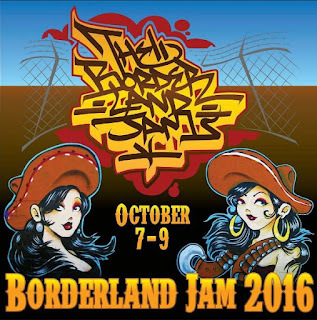 Borderland Jam happened the previous weekend (October 7 - 9) in El Paso. 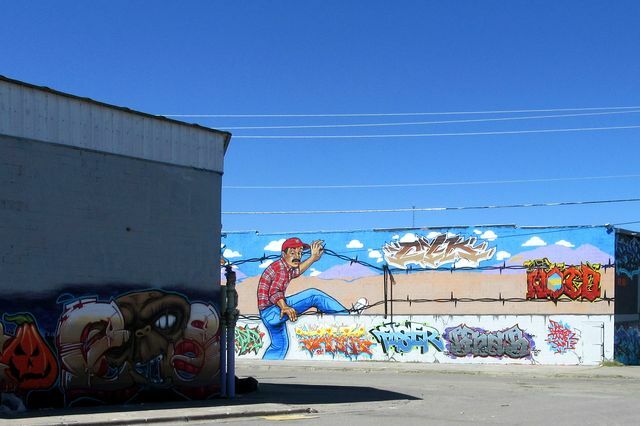 Street artists painted murals on warehouses on Cotton Street, between 3rd and 5th. 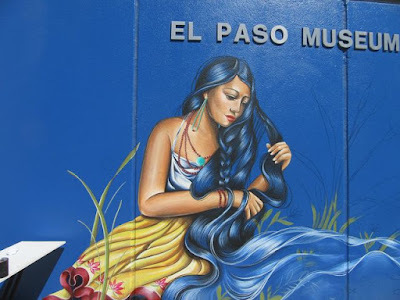 This area in El Paso is also known at "the Barnyard." 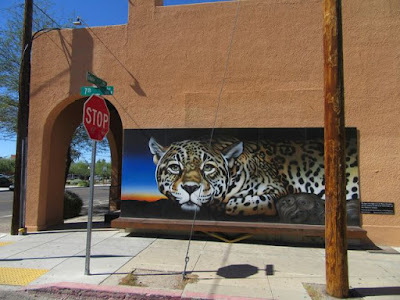 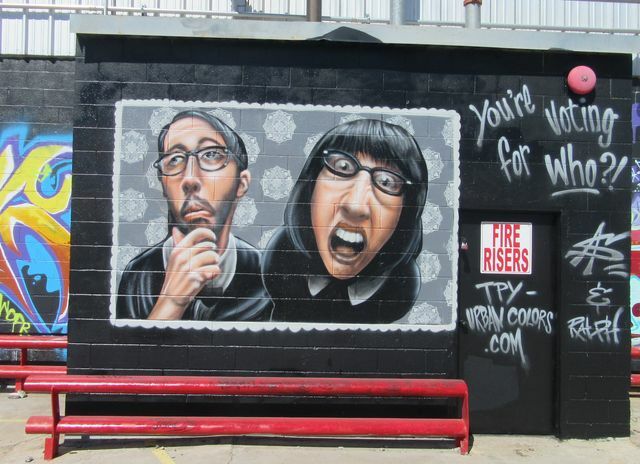 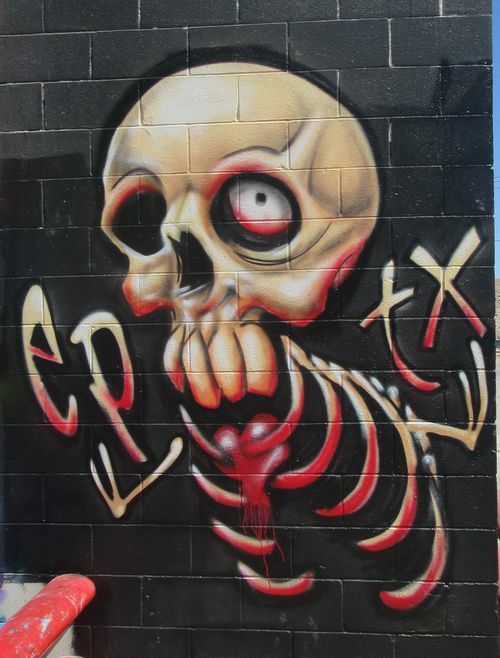 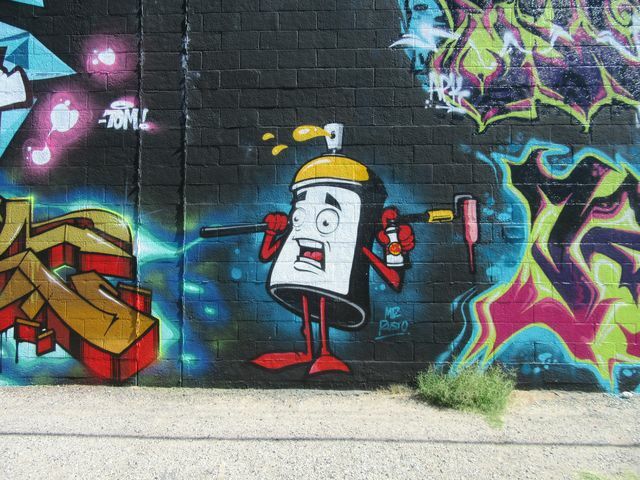 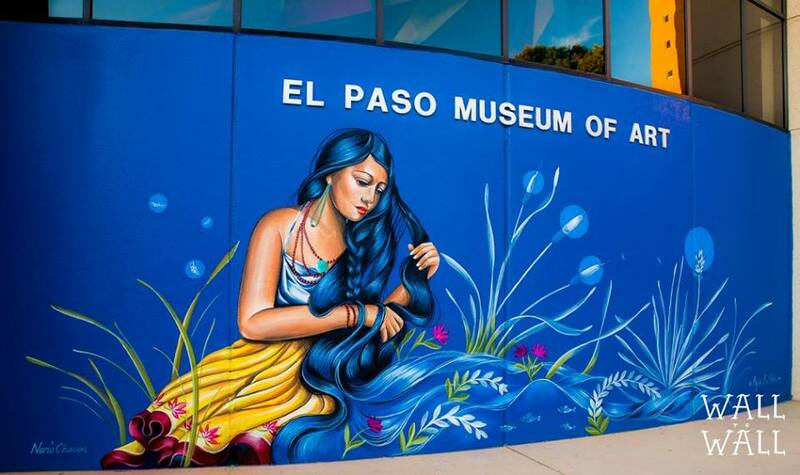 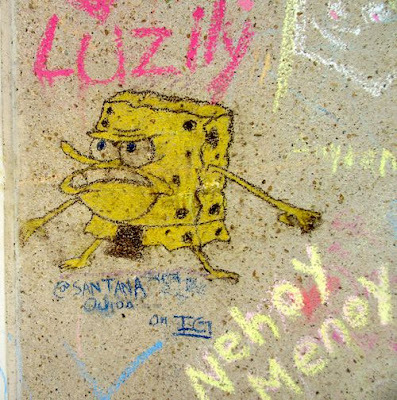 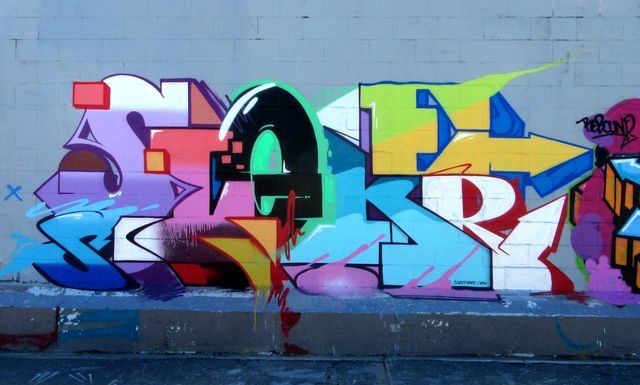 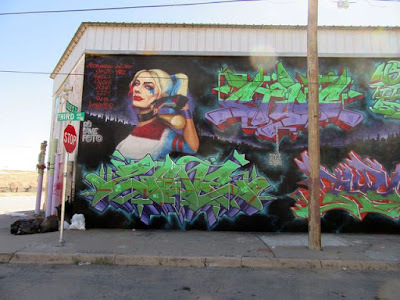 See end of this post for the graffiti murals done in 2014. Also, Lincoln Park in El Paso (underneath the bridges of I-10 freeway) has a lot of Chicano murals, many by Gabriel Gaytan. 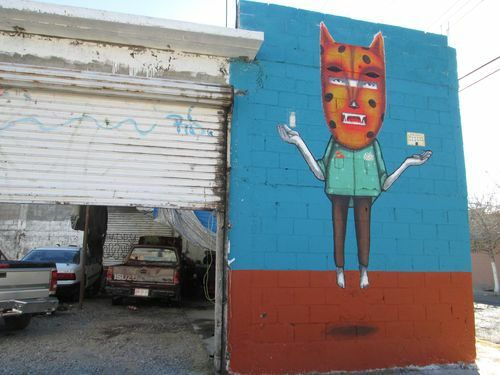 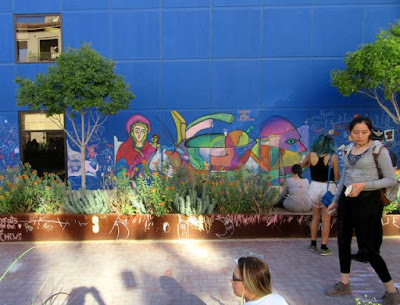 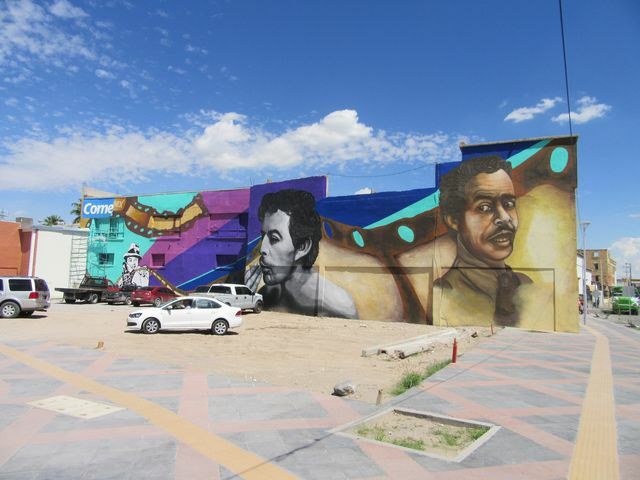 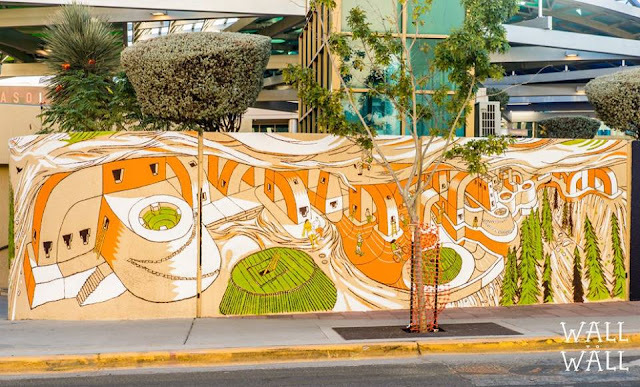 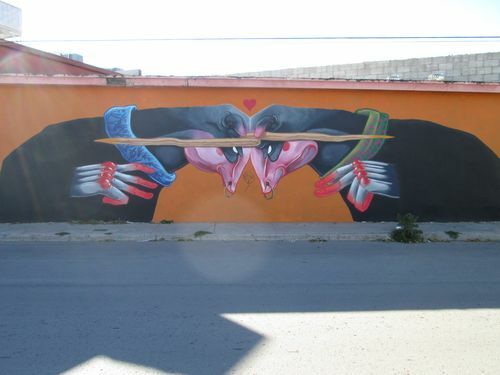 In 2015, artists painted many murals across the border in Ciudad Juarez -- for the Colorwalk. 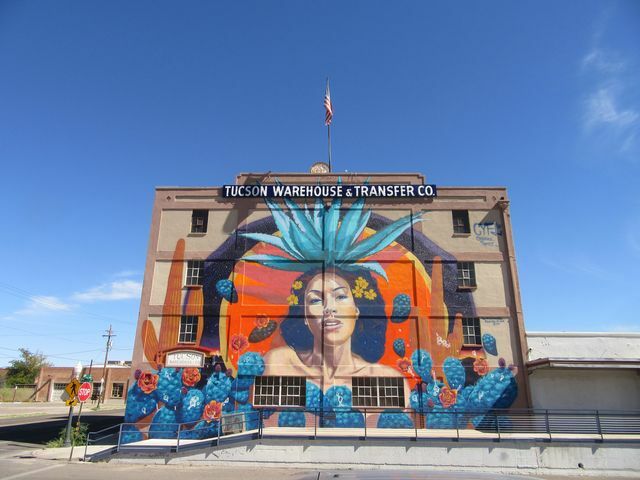 In the summer of 2016, the Tucson Arts Brigade produced 9 new murals in the downtown Tucson area. There was a forum discussion of the project on October 26th, at the Center for Photography on the University of Arizona campus. 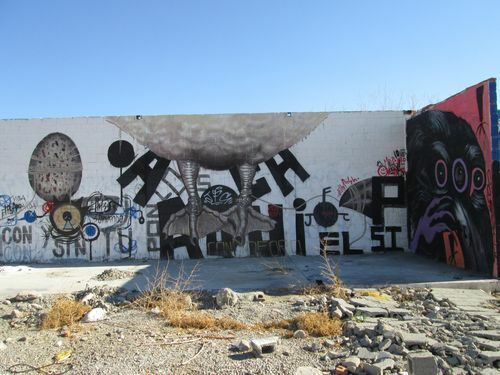 In 2012, Eric Firestone brought in a bunch of artists to paint murals on the mothballed airplanes at the Boneyard in Tucson. 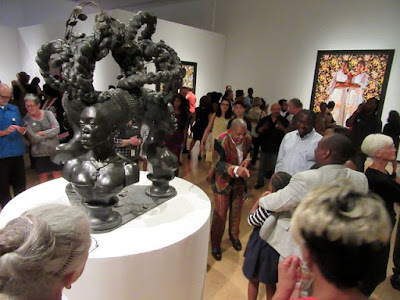 Meanwhile, in a city not that far away, Kehinde Wiley showed up for the big First Friday reception at the Phoenix Museum of Art on October 7th. 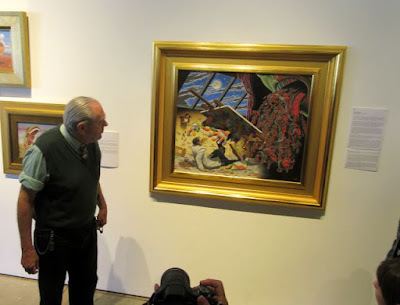 Robert Williams had his art opening in Santa Fe on September 23rd (there was a UTEP bus outside the opening). 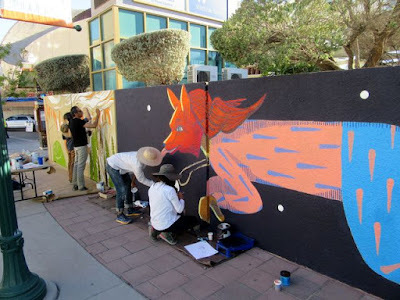 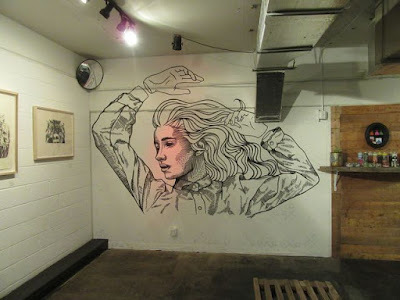 He is also the founder of Juxtapoz Magazine. 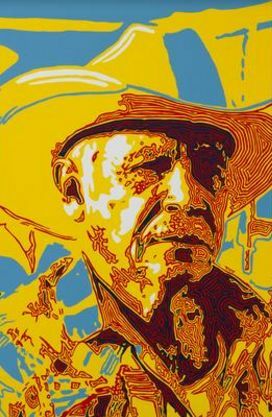 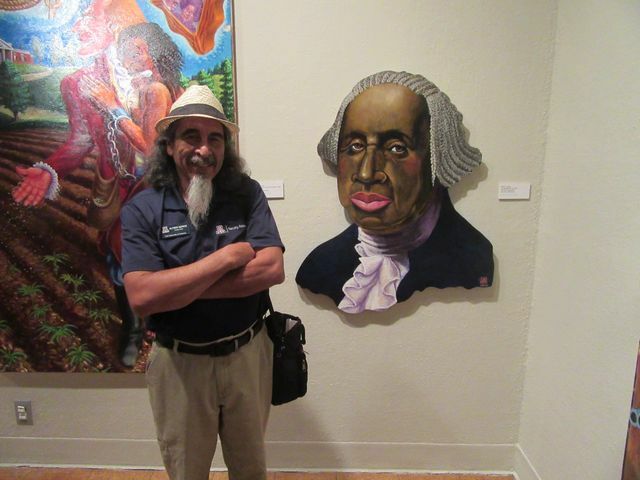 Professor Alfred Quiroz's show -- Presidential Series -- opened up on October 22, 2016, at the University of Arizona in Tucson. This has been a strong art fall in the Southwest.